I found this recipe in Coastal Living magazine….totally random, I know! But it grabbed my attention because it looked SO EASY and tasty. And they are crustless. For Mother’s Day every year we plan a potluck brunch at my brother’s house and I am always looking for something unique to bring. This year, Mother’s Day fell on the day after my huge Supper Club Greek Feast. I knew I would be cooking for a couple days and wouldn’t be able to handle anything too crazy. Voila! 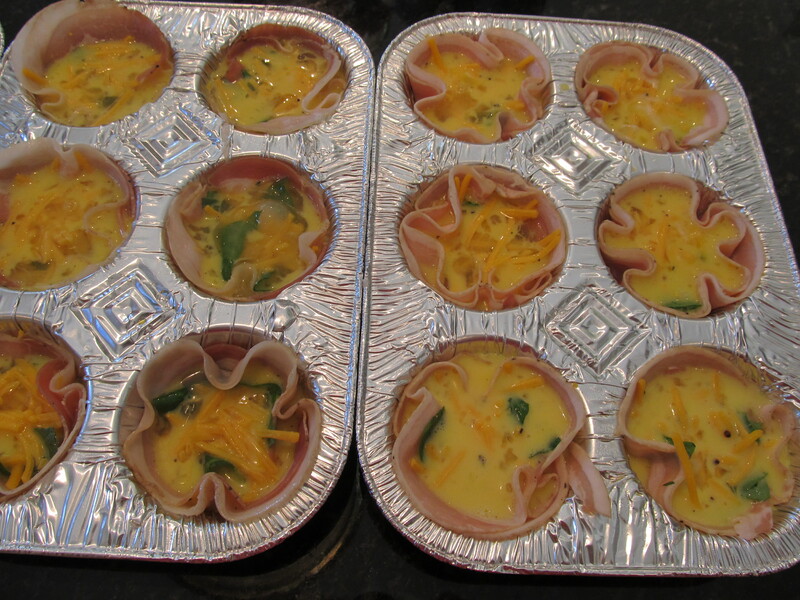 Pancetta and Spinach Egg Cups! These puppies are SO easy and take literally minutes to prepare. And they look so fancy when they are finished! Egg inside, ready to bake! Oh, the original recipe called for Prosciutto, but I thought it said Pancetta when I quickly looked at it so that’s what I bought. It turns out that it doesn’t really matter! 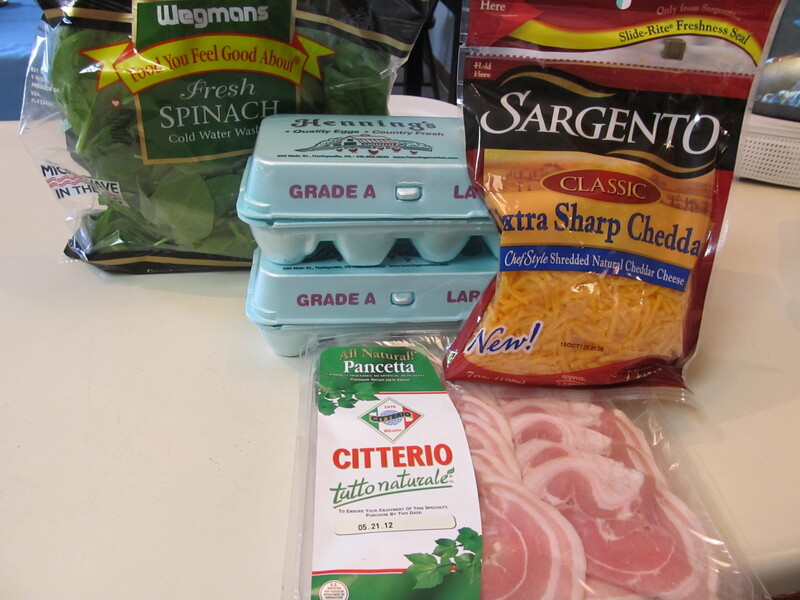 Pancetta was super good and bacon-y so when I make them again, I will stick with it! I gotta show this picture again – it was soooooo good. Preheat oven to 350°. 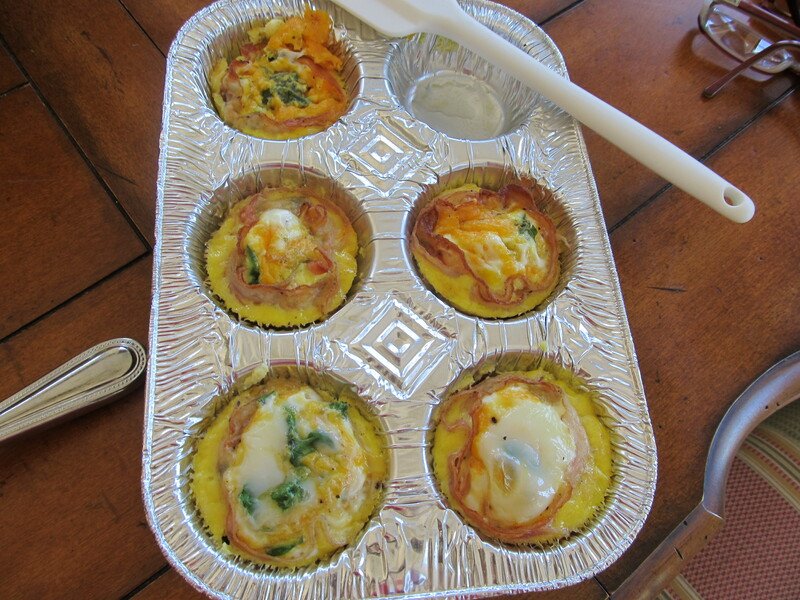 Lightly grease a 12-cup muffin pan (or 12 ramekins). 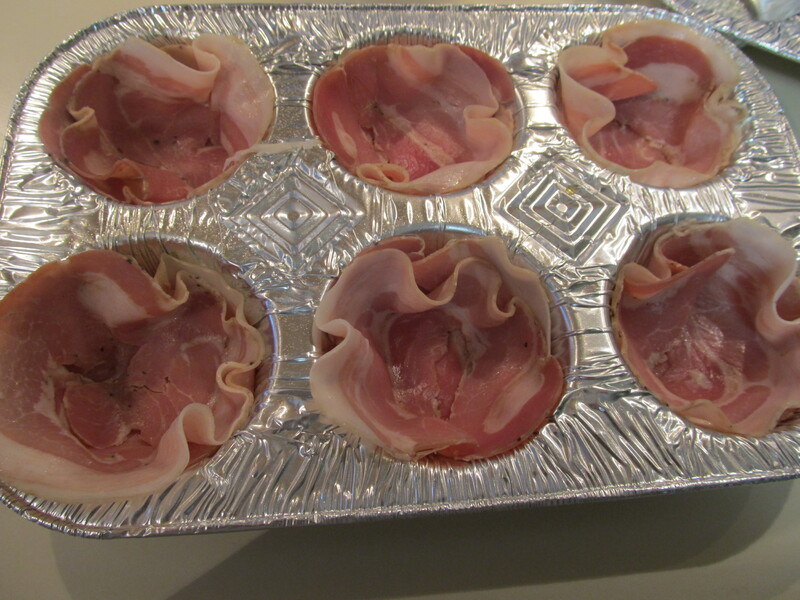 Place pancetta slices into bottoms and up sides of cups, overlapping. I used 2 slices per cup – you can just use 1 slice and be fine if you like. 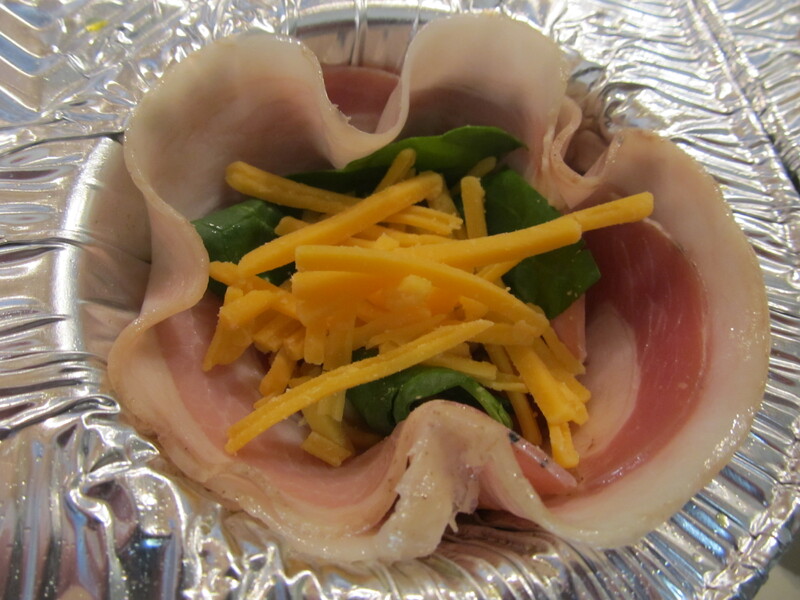 Divide spinach first and then cheese among muffin cups. Combine eggs, milk, salt, and pepper as you would if you were preparing scrambled eggs. Then pour evenly into muffin cups. Don’t fill all the way to the top. 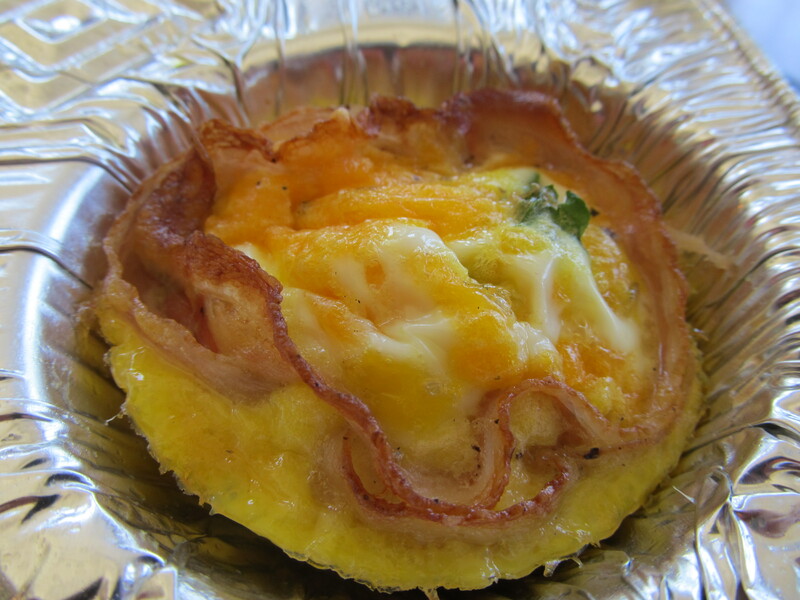 Bake muffin cups 14-16 minutes or until just set. Using my brother’s convection oven, it took more like 25 minutes – but I would start out with 15 minutes and play it by ear to see if it needs more time or not. Let stand about 5 minutes. Then loosen cups by running a knife around the edges of each cup, and lift out of the pan with a small spatula. Serve immediately. Makes 12 servings. I found this on Pinterest, sounds so good I gotta try it! And may i just repeat, BAAAAAAAAAAAAAAAAAAACON! YAY! Celebrate the pork! These look amazing – going to try them out! And you’re right, the possibilities of fillings/cheese/meat are endless! Thanks again and BTRW, the pictures you take are so great. The visual steps really help. Even the most novice cook can follow your steps. Thanks so much for the compliment, annie! I know my pics are kinda ghetto and stuff, but I do like to take step-by-step pics to help others out. Sometimes you make a recipe and arent sure if it looks like it should. I always enjoy seeing a couple pics of the progress! If by ghetto, you mean GREAT, then ok! They are really good shots and I love the step-by-step, starting with the ingredients. It’s so novel. You stir my imagination lady! Low carb and no crust means gluten free. this one I am definitely trying. 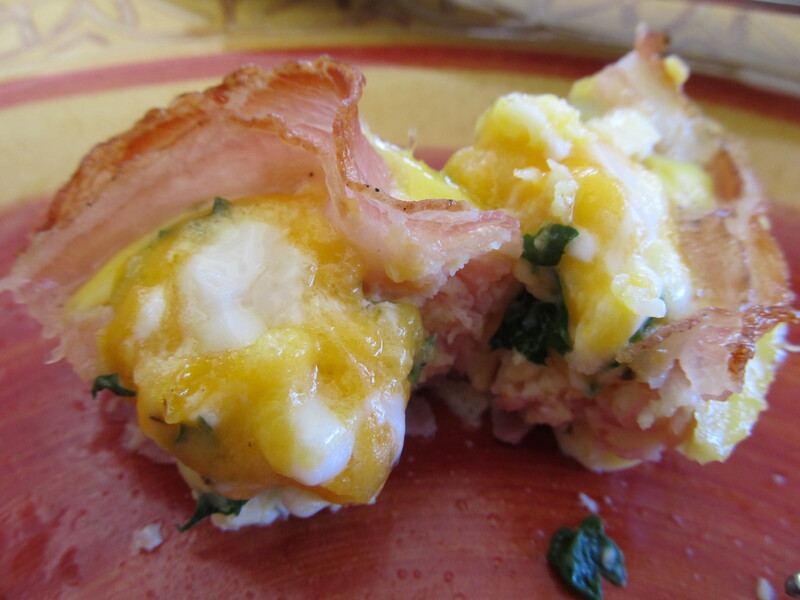 HOLY COW….had 3 of these at the Mother’s Day breakfast they were so damn incredible. 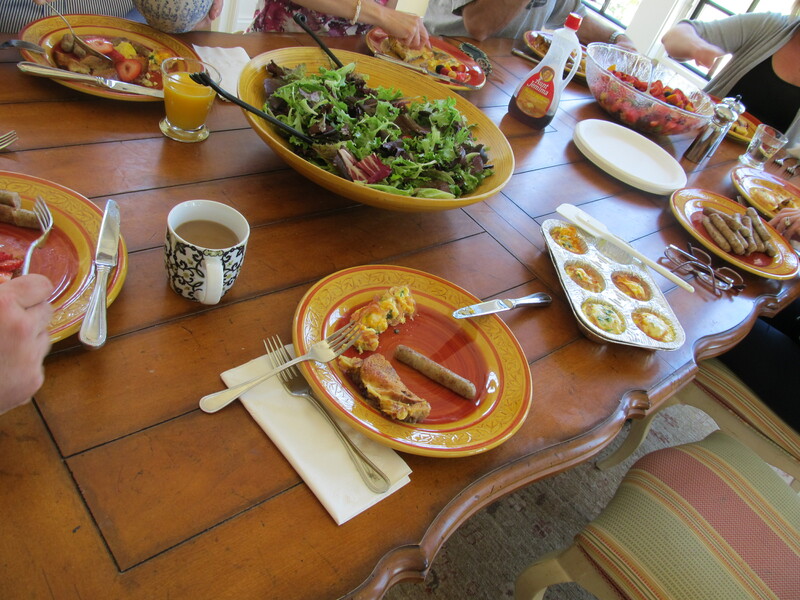 fortunately, as is typical in our house, there were leftovers and I snagged two which I just had this morning. Ate them cold out of the fridge and they were just as awesome. Something about this concoction is just a home run: maybe the salt of the meat in with the egg and cheese? Dont know, but highly recommend this winner. Definitely recommend this one – and I think you can play around with the options of veggies and cheese you include…..goat, swiss, mozz, feta…..the possibilities are endless! totally low/no carb!!!!! SUPER easy (took 5 mins to throw together). and definitely delicious!